With 24-hour access, you can come & go as you please. Our storage parking area is clean, paved, fenced, gated and secured. 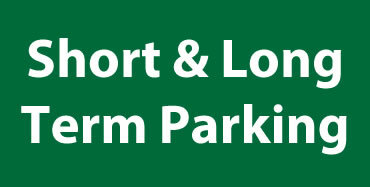 We offer both short and long-term parking. You can conveniently park your car in the RV storage space until you return with your storage vehicle. 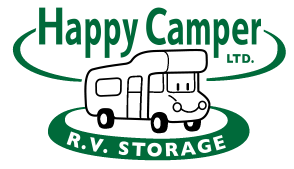 Not need to drive hours to a campsite, Happy Camper RV Storage is convenient located is within minutes of many local campgrounds. Strathmore, Langdon, Chestemere and Calgary RV owners now have a ideal, AFFORDABLE, storage solution! At Happy Camper R.V. Storage, your R.V. will be accessible 24 hours a day via access of a 16 ft locked gate. Parking is on gravel to help keep moisture away from your R.V. preventing rust and large pull-through sites are available. 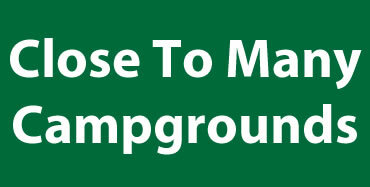 We take pride in our well maintained lot, with ongoing weed and pest control. Providing good service means taking the time to listen. We will work with you every step of the way to insure you receive the service, and vehicle protection you need. Our business is client-oriented, and we maintain strict confidentiality. Our storage location is minutes from Strathmore, with easy access, but tucked away for your peace of mind and security. We hope you'll find all of the information you need on this site about our business and services we provide. We look forward to working with you. Convenience - Our rental terms allowing for great flexibility with your storage needs. 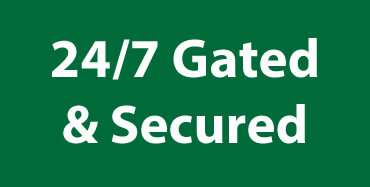 We offer extended gate access hours to pick up or drop off your vehicle early or late. Our locations provide easy access and maneuverability. Security - Our vehicle storage locations offer a combination of security systems, fenced yards and onsite personnel. Peace of mind that your prize possession is safe and secure.